As a veteran educator and research center director, I’ve had the thrill of seeing more than 10 generations of students obtain electrical and computer engineering degrees and pursue technical careers around the world. A common trait I’ve seen in these students has been an appreciation for the engineering process built on integrity, the open exchange of ideas, and accuracy in solving problems. 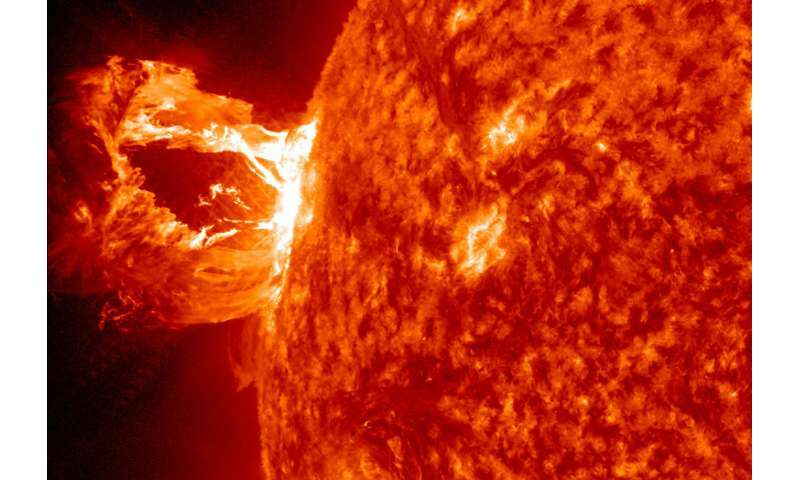 A DEVASTATING solar storm will hit Earth and could cost Europe £14billion – it has been warned. The prediction comes as a weather warning was put in place for this weekend after reports a solar storm could hit our planet. (CNN) It’s a good idea to have a backup plan, especially in interstellar space. NASA scientists needed to reorient the 40-year-old Voyager 1 — the space agency’s farthest spacecraft — so its antenna would point toward Earth, 13 billion miles away. But the “attitude control thrusters,” the first option to make the spacecraft turn in space, have been wearing out. GPS killed the radio nav in 2010, but a high-def version is set to return. Enlarge / This is the way we used to find our way around. Way back in the 1980s, when I was a young naval officer, the Global Positioning System was still in its experimental stage. 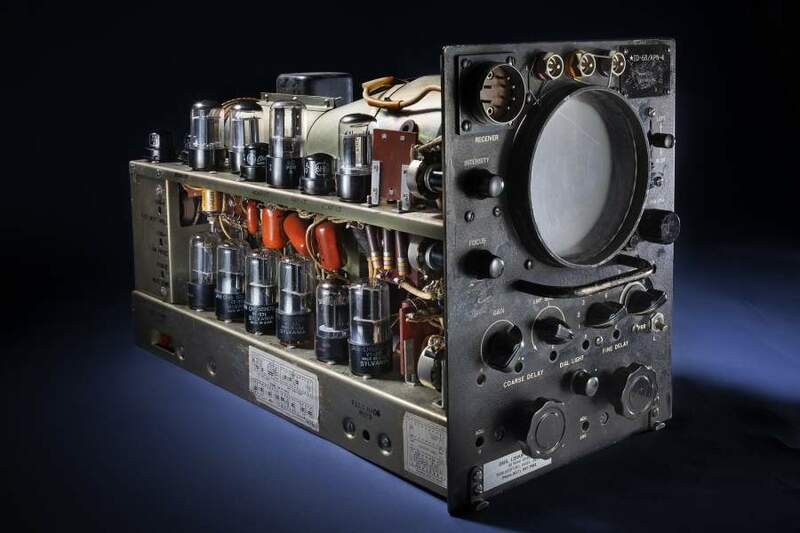 If you were in the middle of the ocean on a cloudy night, there was pretty much only one reliable way to know where you were: Loran-C, the hyperbolic low-frequency radio navigation system. Using a global network of terrestrial radio beacons, Loran-C gave navigators aboard ships and aircraft the ability to get a fix on their location within a few hundred feet by using the difference in the timing of two or more beacon signals. Atmospheric atomic tests during the Cold War were incredibly disruptive to space weather, but much of the data collected at the time was only recently declassified. 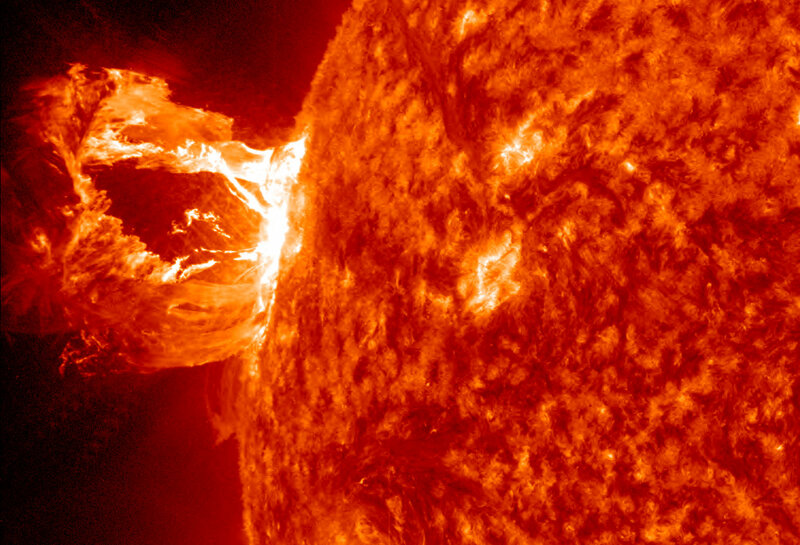 New analyses of this data are now helping guide an understanding of how to operate electrical and electronic systems — everything from the power grid to satellites — during unusual space weather, such as changing magnetic conditions and varying types and levels of radioactivity. Let the conspiracy theories resume! Alaska’s High-Frequency Active Auroral Research Program (HAARP) facility will reopen in 2017. The sprawling facility now is under the ownership of the University of Alaska Fairbanks (UAF), and the UAF Geophysical Institute is preparing HAARP for a new sponsored research campaign that’s set to begin early next year, UAF Researcher Chris Fallen, KL3WX, told ARRL. Scientists at NASA have released some incredible images revealing an enormous dark hole over our sun. Corey Powell, Editor of Discover Magazine, joined Bill Hemmer on America’s Newsroom this morning to explain the giant black hole, and what it means for us here on Earth. “The reason it’s dark is that whole chunk of the sun basically ripped off, blew out and is coming our way at about two million miles an hour,” said Powell. Well, that doesn’t sound good. Powell explained that this phenomenon happens frequently, but we don’t often see something this large. He said that when the chunk of the sun hits Earth, it would cause auroras, and would wiggle the magnetic field. The major concern would be potential disruptions to GPS signals and interference with communication satellites and power lines. Peer inside an antique radio and you’ll find what look like small light bulbs. They’re actually vacuum tubes—the predecessors of the silicon transistor. Vacuum tubes went the way of the dinosaurs in the 1960s, but researchers have now brought them back to life, creating a nano-sized version that’s faster and hardier than the transistor. It’s even able to survive the harsh radiation of outer space. Developed early last century, vacuum tubes offered the first easy way to amplify electric signals. Like light bulbs, they are glass bulbs containing a heated filament. But above the filament are two additional electrodes: a metal grid and, at the top of the bulb, a positively charged plate. The heated filament emits a steady flow of electrons, which are attracted to the plate’s positive charge. The rate of electron flow can be controlled by the charge on the intervening grid, which means a small electric signal applied to the grid—say, the tiny output of a gramophone—is reproduced in the much stronger electron flow from filament to plate. As a result, the signal is amplified and can be sent to a loudspeaker. Vacuum tubes suffered a slow death during the 1950s and ’60s thanks to the invention of the transistor—specifically, the ability to mass-produce transistors by chemically engraving, or etching, pieces of silicon. Transistors were smaller, cheaper, and longer lasting. They could also be packed into microchips to switch on and off according to different, complex inputs, paving the way for smaller, more powerful computers. But transistors weren’t better in all respects. Electrons move more slowly in a solid than in a vacuum, which means transistors are generally slower than vacuum tubes; as a result, computing isn’t as quick as it could be. What’s more, semiconductors are susceptible to strong radiation, which can disrupt the atomic structure of the silicon such that the charges no longer move properly. That’s a big problem for the military and NASA, which need their technology to work in radiation-harsh environments such as outer space. The new device is a cross between today’s transistors and the vacuum tubes of yesteryear. It’s small and easily manufactured, but also fast and radiation-proof. Meyyappan, who co-developed the “nano vacuum tube,” says it is created by etching a tiny cavity in phosphorous-doped silicon. The cavity is bordered by three electrodes: a source, a gate, and a drain. The source and drain are separated by just 150 nanometers, while the gate sits on top. Electrons are emitted from the source thanks to a voltage applied across it and the drain, while the gate controls the electron flow across the cavity. In their paper published online today in Applied Physics Letters, Meyyappan and colleagues estimate that their nano vacuum tube operates at frequencies up to 0.46 terahertz—some 10 times faster than the best silicon transistors. The team’s device isn’t the first attempt at miniaturizing the vacuum tube. Contrary to previous work, however, the researchers do not need to create a “proper” vacuum: The separation of the source and drain is so small that the electrons stand very little chance of colliding with atoms in the air. This is a huge benefit, says Meyyappan, because it opens the door to mass production. Electronics engineer Kristel Fobelets at Imperial College London agrees. “Vacuum technology within a semiconductor fabrication line would make fabrication costs very high,” she says. Still, she cautions, the nano vacuum tube is more of a “proof of concept” than a working device, since its operational requirements do not yet match modern transistors. As one example, about 10 volts is needed to switch the device on, whereas modern transistors operate at about 1 volt; in this respect, the nano vacuum tube isn’t compatible with modern circuits. Even so, the potential is great, says Meyyappan. The new vacuum tube’s inherent immunity to radiation could save the military and NASA a lot of time and money, while its faster operation makes it a rare candidate for so-called terahertz technology. Sitting between the microwave and infrared regions of the electromagnetic spectrum, the terahertz region can pick out the “fingerprints” of certain molecules. The technology could therefore be used at airports to safely scan for illicit drugs, for instance.